Did you take a bit longer to pick up on the avocado toast trend last year? Or bars and restaurants going cashless? It is 2019 and things are changing – AGAIN. Offering online reservations, free Wi-Fi and having an online presence will not make you stand out from the masses, so let’s cover what other things your establishment should offer to stay ahead of the game in 2019! Don’t fall behind this year, read the following article to stay ahead of this year’s trends. 1. Untappd – Craft Beer is King! 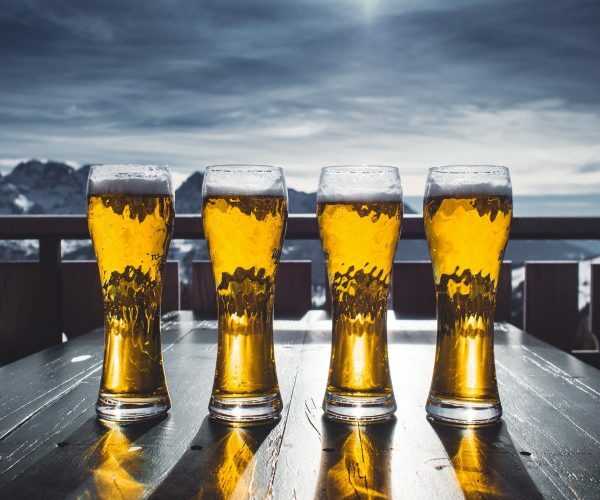 If your restaurant or bar offers any other beer beyond Bud light and Coors light, you cannot skip out being on Untappd. Untappd, in a nutshell, is Yelp for beer- and it’s used by over 8 million beer lovers. This huge beer database includes information from beer style, its IBU and ABV to tasting notes from the user. It not only provides users with an opportunity to rate the beers they try, but also search for beers in their area. Nevertheless, the most important feature of Untappd for bars/restaurants is its social aspect. Millennials & generation Z are leading the craft beer boom. If this is the crowd you’re trying to reach, you need to be taking advantage of this platform. 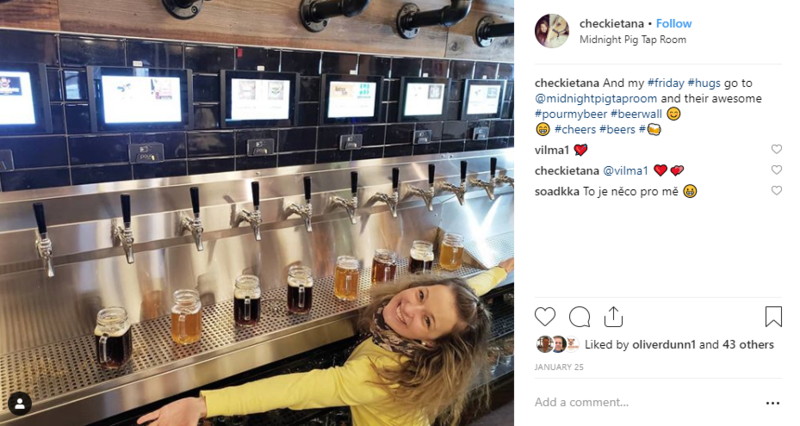 By encouraging patrons to check in the beer that they’re trying at your establishment, you can gain exposure in front of other users that have similar tastes! A product praised by your friends is much more powerful than any company message, period. Content coming from your customer base is priceless and the smart use of customer-generated can go far beyond social media platforms. Not only can you use this content on your website, in promotional videos or re-sharing on social media, but you can also use it as photo collage or individual photo decorations of your establishment’s walls. This type of strategy can create a ripple of social influence that can drive new patrons to your establishment and positively impact your business. TIP: To give your customer generated content authenticity use a screen shot of the entire screen to show what platform and which user the content came from. 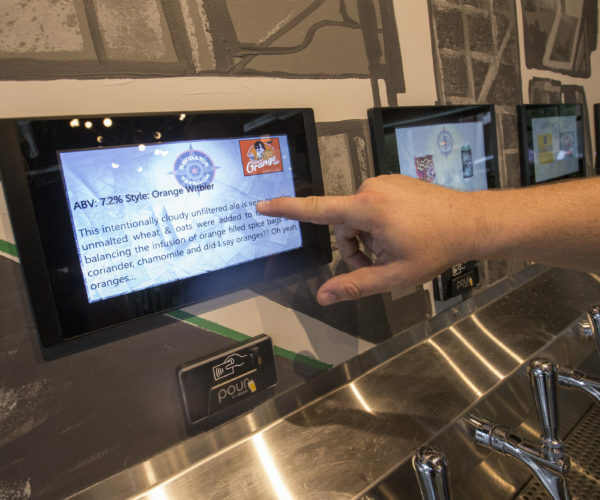 Innovative technologies such as self-serve beverage wall provide a great opportunity for provoking natural, user generated content. 1. Offer your customers something so unique and visually appealing that they will feel obligated to share it with their online network! 2. Offer your customers an incentive for tagging your business by using your desired hashtags. TIP: Don’t put all your eggs in one basket and rely on user-generated content only. Have some of your creative staff allocate 30 minutes of their shift to creating visually appealing content. You can even offer your staff incentives for creating content for your business. You may have heard of social media influencers – most common on Instagram. Nowadays, you can reach out to social media users that have a good number of followers and pay them (or a free meal / offer) to make a post about your company or product. A huge benefit to this type of marketing is that you can find influencers with the exact target audience you want to reach! Typically, the cost of this would depend on the number of followers the influencer has. The more followers = the more expensive a post is going to be. Although even one post from a local influencer with just 500 followers could make a huge impact for your business if you’re choosing the right person. Instagram gives you access to a truly huge audience. Given the industry you are in, you really need to be utilizing this great and highly visual platform. If you have not done so already, 2019 is definitely the year to step up your content calendar game. If done right and consistently, it can really help with your brand awareness. TIP: Make sure to spice up your social game with online contests and videos! Look Out for Opportunities to Create Videos! Videos are a must have these days. These days, you can easily create better quality videos for only a few hundred dollars, thanks to companies like OpenReel. You can use videos to boost your social media engagement, as well as add a visual component to your website. According to Business Insider, Video will account for an overwhelming majority of internet traffic by 2021. It is time to give your audience great, engaging videos to watch! TIP: If something fun/newsworthy is happening in your business, don’t hesitate to grab your phone and stream a live video! If you have a great base of regulars and your business is so busy you don’t need to drive any new traffic, you can happily ignore this. Nevertheless, if you know what it feels like when your business is open but only a few tables are utilized, you should definitely consider stepping up your SEO game! Search engine optimization (SEO) focuses on improving your site’s ranking in the search engine results pages. As you would guess, showing up higher in the search engine results would significantly help your business drive more traffic to the site and to the door. You want to make sure your site shows up when people in your area are looking for the food or drinks you offer! Not only do local businesses today need a strong SEO strategy, but they also need a seperate focus on local SEO elements such as local content, online directory listings and more. According to Statista, 12% of people use search engines to find local businesses every day of the week! Even further, 19% of people do so multiple times per week. If you’re a local business, not at least thinking about local SEO, you’re already behind. With technology like Google Assistant, Siri, Alexa, and Google Home, voice searches are on the rise. According to the Statista around 71% of respondents stated that they would rather use voice technology to search for something online than the traditional method of physically typing. In addition, predictions by ComScore estimate that more than 50% of searches will be voice-based by 2020. Search engines like Google will look at the top few results to find an answer to the user’s voice search query. You may consider either hiring someone to help you with optimizing for voice search or start educating yourself on SEO in order to adjust to this shift. Many consumers, especially millennials consider online reviews to be equally as trustworthy as personal recommendations. According to Bright Local 91% of 18-34-year-old consumers trust online reviews as much as personal recommendations and 86% of consumers read reviews for local businesses (including 95% of people aged 18-34!). Additionally, the same source also says that 57% of consumers will only use a business if it has 4 or more stars. You can choose to either ignore this data or face the reality. If you’re not asking for reviews, you’re missing out on a huge opportunity to show up online to a highly relevant audience. Even if your business currently has a great ranking on the star scale, never stop asking your customers to leave an online review. Platforms like Google, Yelp and Facebook are great, impactful platforms for reviews. Start with your regulars. Reach out to your happy customers and ask them to describe their positive experience on your preferred platform. Coordinate with Yelp and organize an event with a Yelp elite. You will surely be pleased with the positive boost Yelp elite’s reviews will bring to your business! If you receive negative reviews- hey, they’re inevitable!- reply [nicely] back to negative comments to show that you care and are actively trying to fix whatever issue they may have had, even if it was not your fault. Geofencing is a very powerful tool that can help you increase brand awareness and increase foot traffic. Geofencing is a faucet of paid advertising which creates virtual boundary around a physical location for creating a list of users to target. You can use it to get exposure in front of target audience that is the most relevant to your business by tying it to specific events, competitors’ locations, and more with pinpoint accuracy, which will help you get a brand exposure and communicate your business message at the most appropriate time. If you have any doubts about mobile usage increasing, while desktop usage is decreasing, jump on your Google Analytics account to see where YOUR users are coming from. If you are not appearing on the first page among the organic search results (SEO), you may consider paid search advertising. The great thing about pay per click advertising (PPC) is that you can get hyper specific on things like location, keywords & time of day in which you’re advertising. Another big benefit? You only pay if/ when someone clicks on your ad. TIP: Google Ads allow for very detailed customization, so you can get the most out of your bid by not only bidding on location but also specific time of the day – dinner, lunch, happy hour, late night, whatever it is that makes the most sense for your business. Get more exposure with your local audience and position your brand as locally-focused by hosting great events! An easy way to do this is by looking for opportunities to partner up with an upcoming music festival or local marathon. You can also get more visibility by supporting a higher cause. For example, fundraising for your chosen local group or organization with a percentage of sales going to them. If you want to take the simple route, you can do an off-premise event by offering to cater a local charity event or donate food to a nonprofit program. No matter what type of event you choose to sponsor, events are excellent (typically cheap) PR opportunities which can help to create a strong name for your brand. TIP: Besides inviting a local newspaper, TV, radio station and relevant magazines, make sure to invite influential people that can report on what you are doing and why. It will help to increase visibility to your business and also help to bring more awareness about the issue you care for. Make your menu transparent by providing a detailed description of ingredients. Consumers expect to know what’s in their food- and many consumers have specialized food options – whether that is vegetarian, gluten free or vegan. The more transparent you are, the better off your business will be. Don’t hurt yourself by not listening growing groups like vegetarians or vegans and be sure to meet their simple requests like non-dairy milk substitutes for their coffee. Little things can hurt your business, not only by losing their return visit, but also by increased chance of their unhappy online reviews or mentions to friends. This obviously does not just mean just the non-dairy milk options, try to look at your menu from vegetarian perspective and see how much you could modify or broaden your offering to please this widening group. These days, recycling is not enough to call your business green. Sustainability is a special approach, focusing on reducing waste to a minimum for every aspect of your business. If you have you have a strong sustainability strategy in place, you may want to make it known to your customers, especially if your main customer base consists of millennials which are known to care for a green approach. Following Starbucks and other big names, the trend of eliminating unnecessary plastic, such as straws, will continue. If you want to keep up with the trend and position your establishment as a “green” or eco-friendly business, organize a staff meeting this week and have a brainstorming session on where your business can reduce waste (and potentially cost). TIP: Don’t feel pressured to start some radical changes right away. Little things, like making straws available only upon request can go a long way! 4. Become famous for being the best business to work for! Customers like to feel good about the places they spend their money and that certainly is not the case if they know you mistreat your employees. Care about the wellbeing of your staff and become part of their success stories – this may seem like a daunting task to a business owner, but it can have a huge impact on your bottom line in the long run. TIP: Ask your staff to leave a testimonial or quote about your business on platforms like Glassdoor and try to incorporate it in your social story telling. If your license allows the bar to stay opened until 3 AM, that does not mean your bar has to stay open late. Look at your sales data and carefully evaluate if it pays off to stay open- is the business even profitable? The same goes for staffing needs. TIP: Track your busiest hours that often vary from a day to day to avoid overstaffing which leads into high operation cost. If your data does not tell you clearly what dishes and what drinks are the most popular, walk around and chat with some of your customers. You would be surprised how much you can learn, and how much you can increase sales by taking the time to get to know your customers, their preferences, and what keeps them coming back. TIP: Start with your regulars! Ghost restaurants are those that don’t serve food on premises and focus exclusively on serving customers through food delivery. Ghost restaurant business models are starting to overtake big cities- reaching out directly to a busy work force audience and people longing to eat in their cozy homes, rather than dining out. If you have not done so yet, there is a huge opportunity to grow your market by adding an off-premise component to your business. TIP: Usually it is much cheaper to partner up with third-party delivery services like UberEats rather than staffing up. The trend of off premise dining is picking up quickly, not only with ghost restaurants being on rise, but also due to increased popularity of delivery services provided by companies like GrubHub, Postmates, and UberEats. Unless you have your own delivery system, make sure to explore the option of partnering up with them. Not only you will be able to please your regulars, who just don’t feel like coming in on certain days, but you will be able to increase profits and get more exposure for your brand. TIP: Partnering up with bigger third-party platforms will help to offer more visibility to be discovered by new customers. According to Toast, 61% of diners agree that server handheld tablets improve their guest experience. Customers value their time and no longer want to wait for busy bartenders or staff. If they are ready to order or leave, they want to be able to do so instantly! App based check out is no longer just for big names like Chipotle, Starbucks or Dunkin Donuts, your smaller establishment can now have an app of its own, too! Having a mobile app helps business in several different areas, from brand equity, to brand loyalty. But the main trend for mobile apps these days is the seamless process for check out. Just like tablets, this trend is picking up so quickly because people value their time more than ever before, and they do not want to waste time in line. McDonalds has spent $2.4 billion to accelerate their self-serve initiative last year and it is not just efficiency they are looking for. For the majority of restaurant chains, around 25% of in-store labor is dedicated to taking orders at the counter. Seeking other ways customers can order can significantly reduce the cost of staffing. Besides saving your patrons time, not having to wait in lines, self-serve walls also decrease beverage waste from 20% to 1% and increase your sales by 45%. The more consumers drink = the higher your profit! Having a self-serving beverage wall can help you to stand out in today’s highly competitive restaurant market. A beverage wall does especially well if you offer craft beers. Beer enthusiasts love having the ability to try a new craft beer before committing to an entire pint. With a self-serve beer wall, patrons can pour just a few ounces of an interesting beer – then pour themselves a whole pint of their favorites! Remember the user-generated content trend? A self-serve beverage wall is definitely a unique experience that your patrons will love to share! A long and majestic beverage wall might be just that! 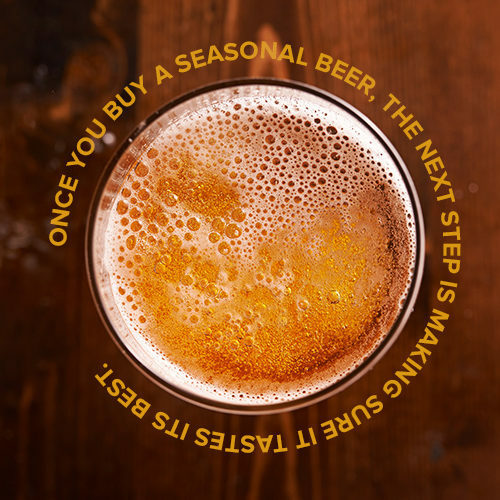 If you are interested in exploring how the PourMyBeer system can help you reach the ever-expanding craft beer drinking community and stop losing money on giving away free samples, contact us today. No matter how big of an operation you have, we can provide you with a free quote. We hope you’ve found many of these tips helpful! Hopefully, they will not only give you an edge on the competition in 2019, but also allow you to bring in more profits. We would love to hear what else you think we should add to the list or which of the trends and tips are you planning to embrace!